Boro Batch says about Crush "Crush is that tall drink of orangey awesome that you've needed for far too long. Boro Batch is happy to quench your thirst and get you the reaction you've been wanting. 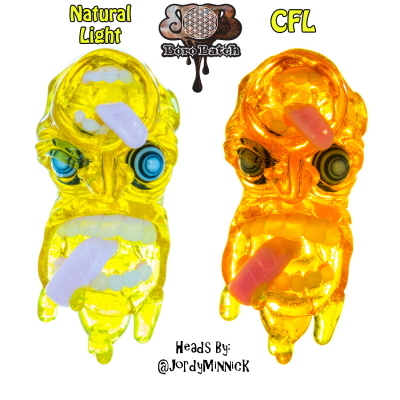 Crush is a CFL reactive yellow-to-orange that is highly workable. Crush shifts best when in a thicker gather"